A sheet of brushed steel on an incline. 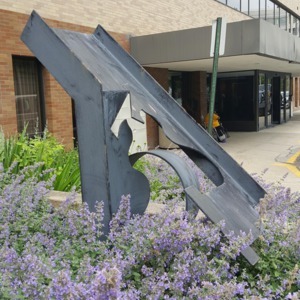 A section of the sheet has been cut out in an incongruous shape, and bent out of place. A flat, cylindrical ring rests on its side beside the structure. 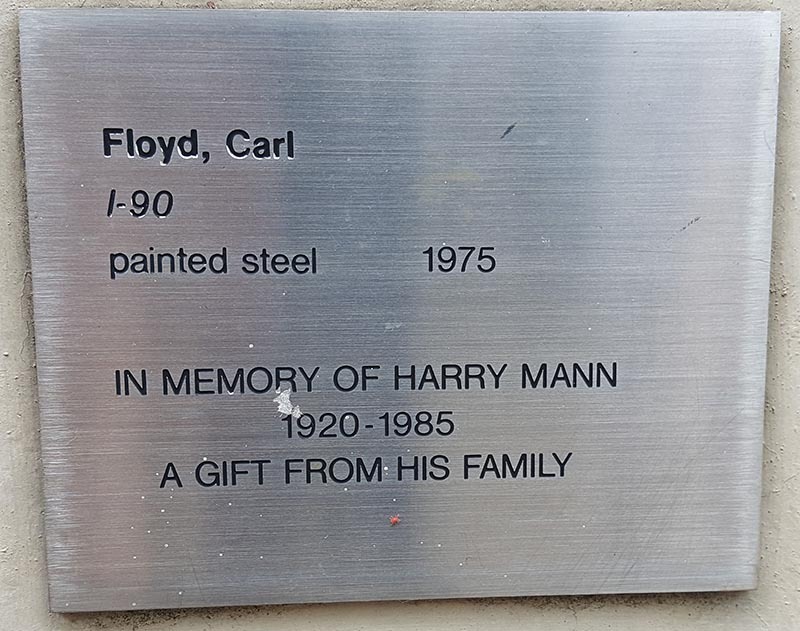 The name "I-90" could potentially be a reference to the East-West highway that runs through Northeast Ohio and the longest Interstate highway in the US. The sheet is bent up at 90 degrees on either side, giving it the general appearance of a road with guard rails. 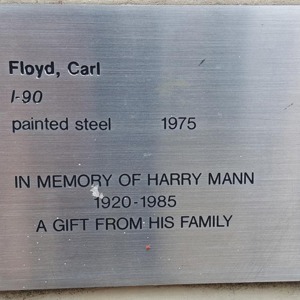 Floyd is a known architect-sculptor who has a passionate devotion to environmental and ecological preservation., and perhaps this devotion manifests itself in I-90's installation. The brushed, black, almost mechanical piece rises out of a sea of colorful flowers. The abstracted roadway acts as an indelible, conspicuous stain on the natural beauty around it. 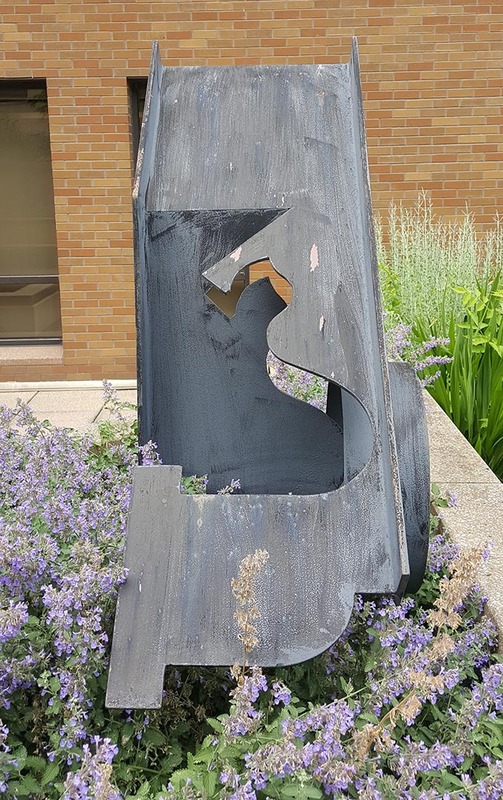 : Carl Floyd, “I-90,” Ohio Outdoor Sculpture Inventory, accessed April 22, 2019, http://oosi.sculpturecenter.org/items/show/1382.